Nancy joined the DHTFG team in 1995, working directly with John Donohue Jr. and Gregory Hart as they developed their partnership. She has proudly seen the company grow to now include Michael Thomson and John Donohue III. Today she works with each of the partners on fiscal management, compliance record keeping, and the best possible practices to establish client confidence. 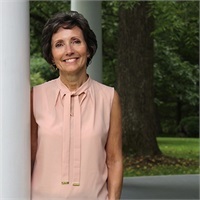 Prior to joining the DHTFG team Nancy worked in administration for a Franklin Square Hospital Medical Records, assistant to the vice president of Maryland National Bank, and assistant to the principal of Perry Hall Christian School. She has provided dedication to her career before and after, her greatest accomplishments, raising four sons with her husband Norman. Nancy resides in Bel Air with her husband and together they enjoy time with their children’s growing families and fellowship in their local church and community.